When thinking about the overwhelming vastness of space and all the high-tech gear required even getting off of our planet, let alone walking on another, it is easy to overlook some of the little things that were intrinsic to the success of these missions to discover and research our universe. 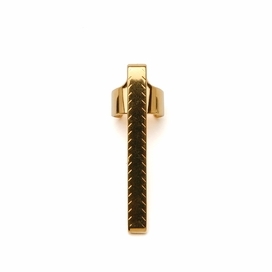 One of these small pieces that played a monumental part in these missions was the Fisher Space Pen. 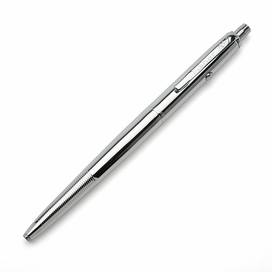 This type of pen was originally developed and patented in 1965 as an anti-gravity pen (AG7). Not only can this pen work write perfectly in space, it can perform in almost any extreme condition, in the heat of the desert, in the frozen tundra of the artic, even deep underwater and, if needed, upside down. All of this is thanks to the thixotropic ink-semisolid that controls the ink to only flow when wanted. 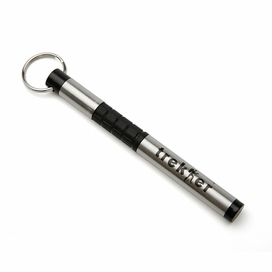 However, this particular type of pen proved most useful in the intense space race that was on between The USA and Russia. 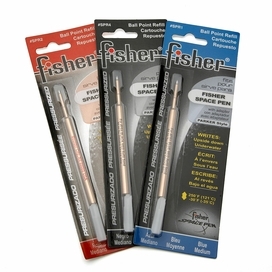 Fisher Space pens were used on the NASA Apollo 7 spacecraft in 1968 to record data and details of the trip. 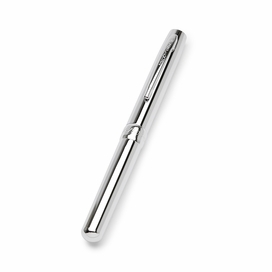 The Fisher Space Pen made it possible for clear and extensive notes to be taken to maximize the amount of information that could be acquired about these groundbreaking discoveries. 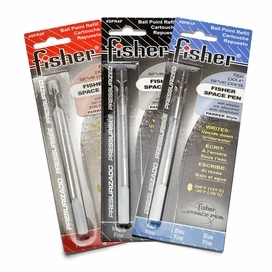 From being used on a Mount Everest Expedition to the Russian Space Station Mir, the Fisher Space Pen combines quality craftsmanship with limitless versatility and very well may make anyone believe that this pen is indeed mightier than the sword.